Tyan - Tiger K8W S2875 Tyan Tiger K8W S2875 AMD Opteron Dual Socket 940 DDR ATX Server Motherboard S2875ANRF. Hewlett Packard - Pavilion 17-G Series HP Pavilion 17-G Series Intel Core i7-5500U 2.40GHz SR23W Processor DSC 940M 2GB Laptop Motherboard 829280-001. 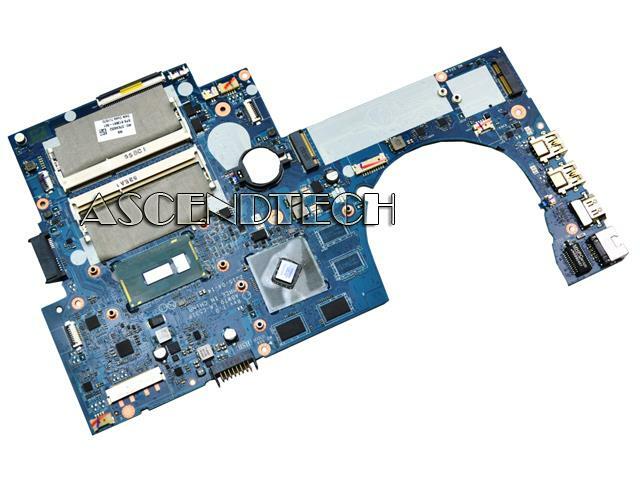 Hewlett Packard - 17-G137NR Pavilion 17-G HP 17-G137NR Pavilion 17-G Series Intel Core i5-5200U 2.20GHz SR23Y Processor DSC 940M 2GB Laptop Motherboard 809321-001 809321-501 809321-601 814703-001 814703-501 814703-601 DAX12AMB6D0. Hewlett Packard - Envy M7-N109DX HP Envy M7-N109DX 17-N179NR 17T-R100 Intel Core i7-6500U 2.50GHz SR2EZ Processor DSC 940M 2GB 3DC Laptop Motherboard 837769-601. Hewlett Packard - Pavilion 17-G Series HP Pavilion 17-G Series Intel Core i5-6200U 2.30GHz SR2EY Processor DSC 940M 2GB Laptop Motherboard 829278-001. Hewlett Packard - Envy 17-N Series HP Envy 17T-N000 M7-N 17-N Series Intel Core i7-5500U 2.40GHz SR23W Processor DSC 940M 2GB Laptop Motherboard 813681-001. 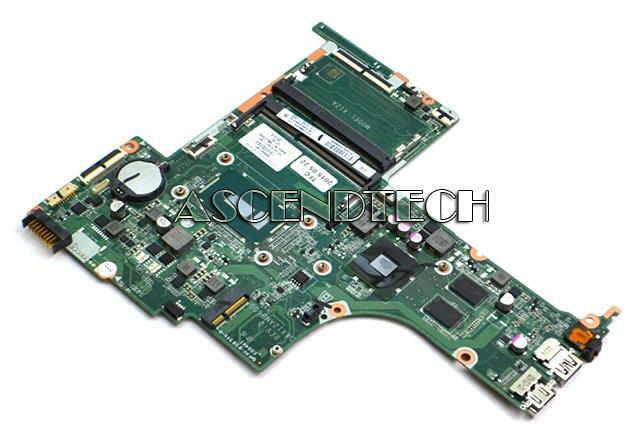 Hewlett Packard - Pavilion 15-AB Series HP Pavilion 15-AB259NR 15T-AB000 15-AB Series Intel Core i7-5500U 2.40GHz SR23W Processor DSC 940M 2GB Laptop Motherboard 809045-001. Hewlett Packard - Pavilion 15-AK Series HP Pavilion Gaming 15-BJ018CA 15-AK Series Intel Core i5-6200U 2.30GHz SR2EY Processor DSC 940M 2GB Laptop Motherboard 841932-001. Hewlett Packard - Envy 17-U018CA HP Envy 17-U018CA 17T-U000 M7-U009DX Intel Core i7-6500U 2.50GHz SR2EZ Processor DSC 940MX 2GB Laptop Motherboard 857297-601. Hewlett Packard - Pavilion 15-AB Series HP X12A Pavilion 15T-AB000 15-AB Series Intel Core i5-5200U 2.20GHz SR23Y Processor DSC 940M 2GB Laptop Motherboard 809044-001 809044-501 809044-601 814677-001 814677-501 814677-601 DAX12AMB6D0. Hewlett Packard - Envy 15-AE Series HP ASW50 LA-C503P Envy 15T-AE100 15-AE Series Intel Core i7-6500U 2.50GHz SR2EZ Processor DSC 940M 2GB Laptop Motherboard 829898-601 829898-001 829898-501 831879-001 831879-501 831879-601. Hewlett Packard - Envy 17T-S000 17-S Series HP Envy 17T-S000 17-S Series Intel Core i7-6500U 2.50GHz SR2EZ Processor DSC 940M 2GB Laptop Motherboard 838261-001. Hewlett Packard - Envy 17-R010TX 17-N Serie HP Envy 17-R010TX 17-N Series Intel Core i7-6700HQ 2.60GHz SR2FQ Processor DSC 940M 2GB Laptop Motherboard 829069-001. Hewlett Packard - Envy M7-U109DX 17-U Serie HP Envy M7-U109DX 17T-U100 17-U Series Intel Core i7-7500U 2.70GHz SR2ZV Processor DSC 940MX 2GB Laptop Motherboard 859291-001. Asus - Q524UQ-BHI7T15 Asus UX560UX Q524UQ-BHI7T15 Series Intel Core i7-7500U 2.70GHz SR2ZV Processor 940M 8GB Laptop Motherboard 60NB0C20-MBB000.